We’ve been rolling out Domain of One’s Own this year at UMW, which means DTLT has been busy introducing it to faculty and students. I’ve been working on an anology over the last few months (I’m not sure it reaches the figurative height of mataphor) to try and help people understand how a domain and web hosting works. It would be easy for faculty and students to liken UMW Domains to getting a site on UMW Blogs, but part of the problem with that is they would miss out on so much of the power, freedom, and possibility Domain of One’s Own offers. To start, a domain is to web hosting as a street address is to a house (domain:web hosting :: street address: house). In other words, just like a street address, a domain is an abstracted locator that points a visitor to a web server (or your virtual house) wherein you do your online living. In this analogy the server is like the house you live in. People can find it through the domain name that points them there, but the space where you create subdomains, install applications, repair databases, etc. is the web hosting. More specifically, it’s a user-friendly interface that allows you to manage your slice of shared server. Now, some of you might be saying, “Yeah, yeah, yeah, we’ve heard that analogy before. Big whoop!” Well, first of all, screw you! And second of all, I’m not done yet! 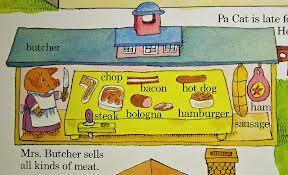 Here is where the analogy get’s all Richard Scarry on you. What does a house consist of? That’s right, rooms. And why does it have different rooms? Exactly, to meet the specific needs of living. 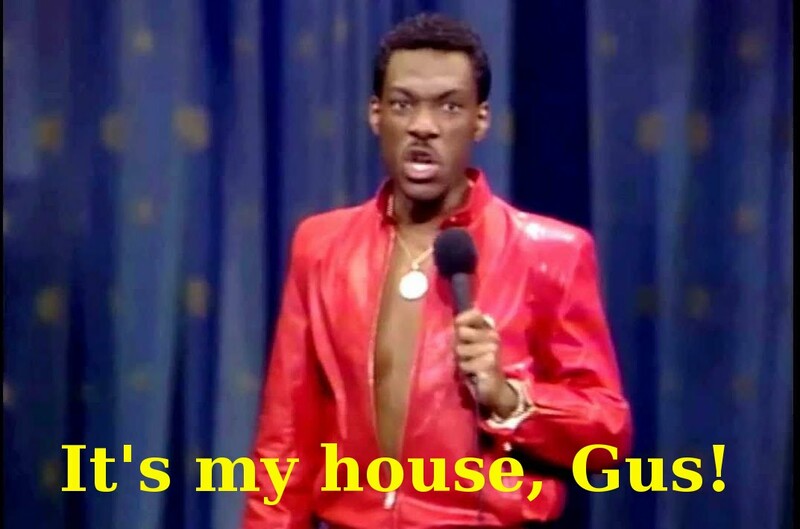 You don’t sleep in the kitchen and you don’t micturate in the living room, right? Right. Each room has it’s particular purpose, and it provides a sense of structure and order to living within a house. 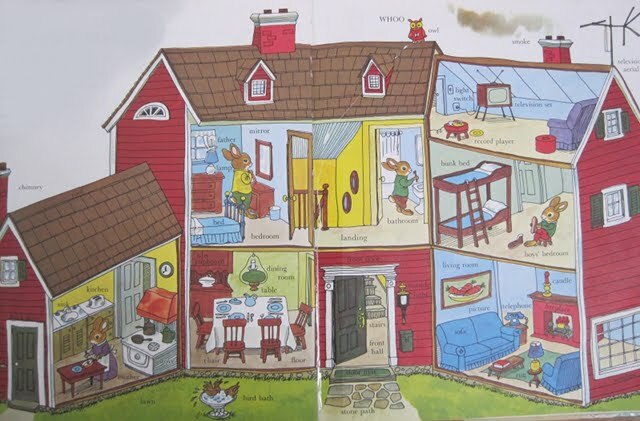 As the above cross-section of the Rabbit Family’s house demonstrates, each room has a specific use: you sleep in the bedroom, cook in the kitchen, brush your teeth in the bathroom, etc. 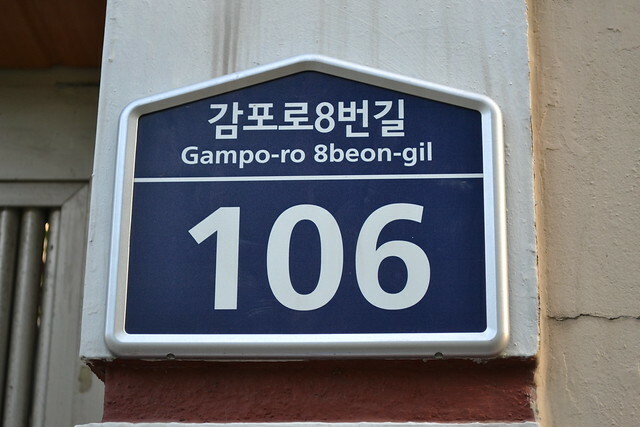 The house is made up of various rooms in which your live. The same thing might be said about your online domain and web hosting. Through the web hosting account you can partition off your domain into various “rooms” that are utilized in different ways. By using subdomains you can create a series of rooms within your “online house” so that you can install specific applications to accomplish various things. For example, you can create the subdomain photos.mydomain.com and install an image mangement application like Zen Photo to store and share your digital photographs. You can use files.mydomain.com to manage and store your documents online with OwnCloud. Why not create the subdomain rss.mydomain.com and install the RSS reader application Tiny Tiny RSS to follow all your favorite bogs. Are you an exhibitionist? Try exhibit.mydomain.com for an Omeka install. Have a picture of your cat and/or bad politics to share? Create blog.mydomain.com for a WordPress install and tell the world about both. These subdomains enable you to organize your online space by installing a variety of applications for your various reasons. It’s once you realize this that you can truly begin to occupying your own domain. Admit it, you are blown away! This entry was posted in Domain of One's Own and tagged domain of one's own, the house analogy, umwdomains. Bookmark the permalink. Windows into your domain, for sure. What are you using for that, I want to play too 🙂 Also, I never thought of the Crowded House angle, thank you very much. I might be able to squeeze a few posts out of this yet! hand-coded html, with a couple of rss feeds powered by feed2js. come on, eileen! Audrey Watters has brought to my attention the Scarry cannibal pig affair sometime during the 80s. 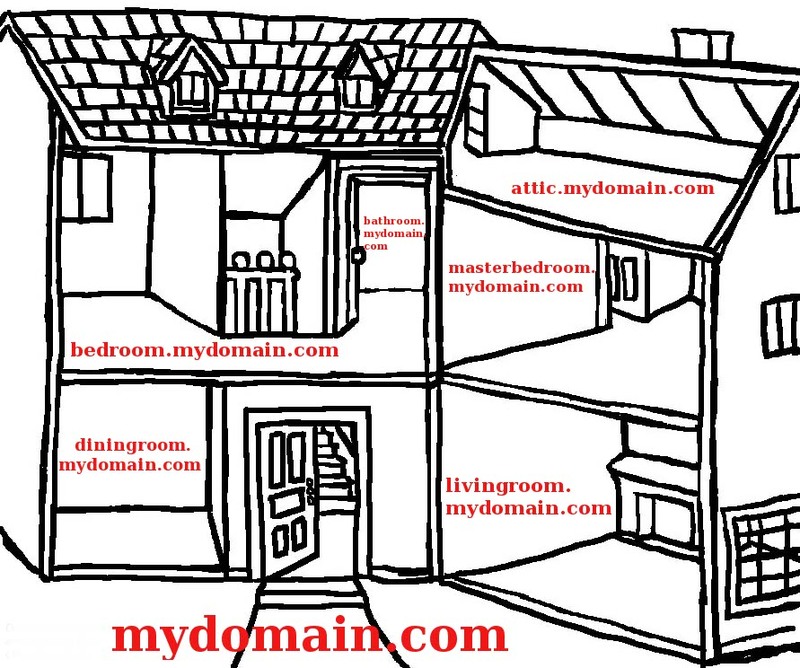 I don’t think I really want my masterbedroom.mydomain.com spread all over the internet.